I've just started reading A Call to Spiritual Reformation: Priorities from Paul and his Prayers by Don Carson. Well, I started it last year but November and December got in the way! So I am starting again, this time with a view to finishing it. Here are the opening two paragraphs from the preface. I doubt if there is any Christian who has not sometimes found it difficult to pray. In itself this is neither surprising nor depressing: it is not surprising, because we are still pilgrims with many lessons to learn; it is not depressing, because struggling with such matters is part of the way we learn. What is both surprising and depressing is the sheer prayerlessness that characterises so much of the Western church. It's suprising, because it is out of step with the Bible that portrays what Christian living should be; it is depressing, because it frequently coexists with abounding Christian activity that somehow seems hollow, frivolous, and superficial. Ouch! Important to know however that Don Carson hasn't written this book to send us to the time out corner with regards to our prayer life. 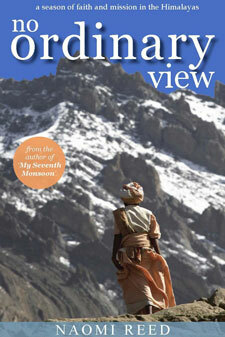 He's written it to encourage his readers, to invigorate their prayer life. Two weeks of school holidays. Four books from three different Australian writers. And a whole lot of housework pending to show for it. But it was fun getting into such a mess. I started with The Spare Room by Helen Garner. This is a story about Helen (it isn't autobiographical) who prepares her spare room for friend Nicola, who is coming to the city to undergo three weeks of experimental treatment she believes will cure her advanced cancer. I've read some excellent reviews for this novel. And it is well written. Garner uses her words economically and creates believable characters in easy to picture settings. Her powers of description are so good however that as it turns out, I didn't really enjoy the book. It's a hard subject. And the descriptions of this desperately ill woman with more emphasis on bodily fluids than I can manage (I'm the person who, when pregnant with our first child, prayed earnestly that I wouldn't give birth to a vomity baby!) and the hopelessness of the situation (it's not a Christian book - but to face death without the hope of eternal life found in Jesus is a desperately sad thing indeed) just made it all too bleak for me. In and of itself it's fine prose...but I was glad I hadn't saved it to take as holiday reading to the beach. I moved onto Land's Edge: A Coastal Memoir by Tim Winton. Ahhhh...Tim Winton - prize winning West Australian author. I love his earlier material. My favourite big novel of his is The Riders which I read compulsively quite some years ago over three big days and nights, interrupted only by needing to go to work and needing a few hours sleep to prevent my eyes from falling out of my head. I haven't enjoyed his more recent offerings - far too much information and far too much pushing of the boundaries for me, I'm afraid. I referred to The Riders as a "big novel" because my absolute favourite YOU MUST READ THIS work by Tim Winton is his novella Blueback. This is the story of a mother and son who live on the coast and fight to protect their little piece of marine paradise from developers. Winton's powers of description take you to that bit of beach and that beach shack - and it is there that a very tender and beautiful story unfolds. 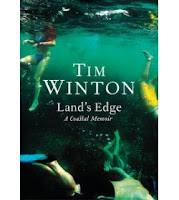 Land's Edge is like Blueback, except that while Blueback is fiction, Land's Edge is Tim Winton's own experience of coastal existence. He loves the coast. He lives for the coast. And he can describe it like none other. He captures the sting of the sand on your legs on a windy day, the smell of the ocean, eyes watering from the salt and the glare, the windswept vegetation, the peace and tranquility, the danger, the colours, the feelings evoked. It's all there. He captures it and bottles it on a page. Land's Edge also taught me that if you want to remain standing in rough surf, it is better to stand side on rather than front on in crashing waves. I remembered that little piece of information after my first unceremonious dumping at the beach during the holidays...and was subsequently saved from further unplanned somersaults in the crashing foam! We arrived back in Khammam in June with a renewed vision and purpose. We would use any opportunities that came our way to love and pray for people. Beyond that, we would rejoice in God and in the place where he had put us. This was the Reeds' fresh resolve after some really hard months in India, enroute to Nepal. If they couldn't do anything else for lack of language, cultural awareness, resources or real opportunity, they could do that. And that resolution to be content was evident throughout the remainder of My Seventh Monsoon and No Ordinary View. These books exemplify Christian contentment - the deep joy of being a child of God that runs at the foundation of all of life, irrespective of what life throws at you. It doesn't mean always being deliriously happy. It means being anchored. Their lives in Nepal were not easy, by any stretch of the imagination. 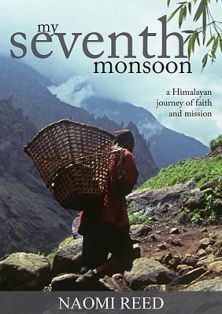 But in seeking to serve God, honour Him and be content in and dependent upon Him, they thrived and their ministry to the people of Nepal bore fruit. I read these two books while away at the beach. We stayed in Youth Hostel accommodation which is good but basic - definitely not what you would call fancy. Had I not been reading these books at the time, the fact that the drains in the bathroom (toilet and shower) that we were to use at the end of our verandah were blocked, smelly and out of action could have had me feeling very sorry for myself. But really this was nothing compared with the conditions in Nepal. I had access to another bathroom where there was running water - hot and cold - and good drainage! And we had electricity, refrigeration, good food and no threat of civil war. Naomi Reed's amazing godliness and contentment in the face of all sorts of hardships and her capacity to see not an ordinary view but treasure around every corner is inspiring. It works because she has written with integrity. This isn't someone putting on a happy face or looking back with rose coloured glasses. It's real, authentic and growing faith in action. And these aren't the sort of books that might make you feel inadequate. There is genuine encouragement, in the true sense of that word, to press on to "use any opportunities that [come] our way to love and pray for people" and to "rejoice in God and in the place where He [has] put us." And take a peek here for a great set of emails from 2009 between Naomi Reed, now back in Australia, and Rachel Connor, serving with her husband and family in Vanuatu. That's it for holiday reading. I am slowly retrieving the chaos of the house and returning to term time routines. And I have made a start on A Call to Spiritual Reformation: Priorities from Paul and his Letters by Don Carson. I don't think the title of this book, at least the first bit, is especially helpful. But the book itself is great. It was back to school today after two weeks of holidays. During the break we spent five days away enjoying a beach holiday. We were treated to glorious weather - sunny days hovering about the 25°C mark - even though it ought to be cooling down by now. Lots of swimming, reading on the beach, walking, good food and time together. I like the uncluttered feeling of holidays. There is no housework to do, no phone to answer, nothing pressing that needs attending to. And I am most keenly aware of the lack of clutter as I survey the holiday kitchen bench. Holiday kitchen benches are always bare. And it's usually as I prepare meals on holidays that I resolve to return to normal life and simplify. On holidays we have less props (toys, computers, books) and yet we have a great time. On holidays we eat much more simply ("No, I didn't bring the soy sauce for your rice!") and yet we eat well. And on holidays I seem to enjoy food preparation so much more than I generally do at home (despite the crazy assortment of utensils, odd saucepans and blunt knives that seem to haunt holiday kitchens) and I am sure that the clear, clean benches have something to do with that. So I come home and clear the bench. After about twelve minutes the first thing is dumped on my newly cleared surface and I groan inwardly (or outwardly!) And then I remember. I say I like food preparation on holidays so much more but the thing is, I have done most of the preparing at home and it is just a matter of cooking up some rice/pasta/potatoes and heating up the curry/bolognese sauce/stew and throwing a salad together. I'm not actually cooking. And the thing about the kitchen bench at home is, well, if it was left bare, where would you put all the mail, library books due back tomorrow, newsletters (of the school and church varieties), those little bits of broken toys that you promised you'd superglue back together, the keys, the various items of stationery that get used every day, bills to pay...? Sometimes I despair of my kitchen bench. But mostly it's OK because the kitchen bench is the nerve centre of the house. Holiday kitchen benches are uncluttered. And holidays are uncluttered. And that is great. Normal life is full and busy. The kitchen bench at my house is also full and busy. And that is great. And it's great to enjoy the contrast between the two.